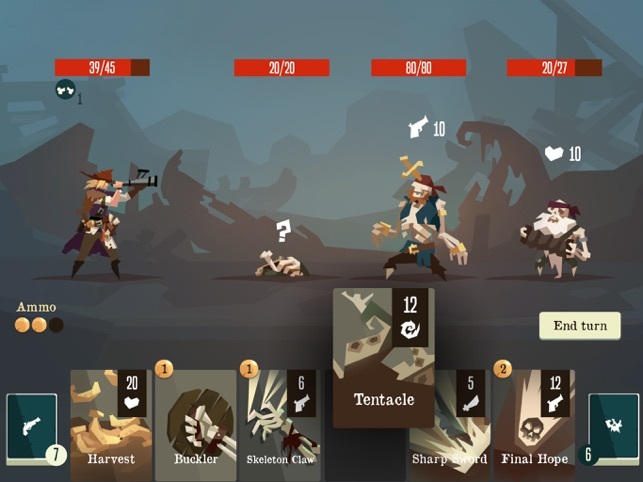 You can choose from 6 pirates (see below), each of which comes with a premade deck of 10 cards. 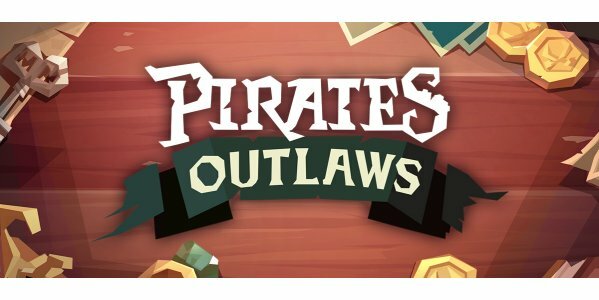 If you enjoy pirate theme games and card battlers, then you should check out this game. 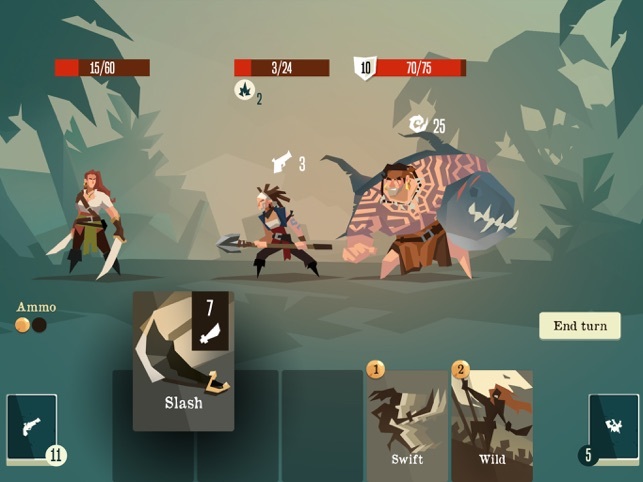 Choose from 6 characters featuring unique abilities and pre-made decks. 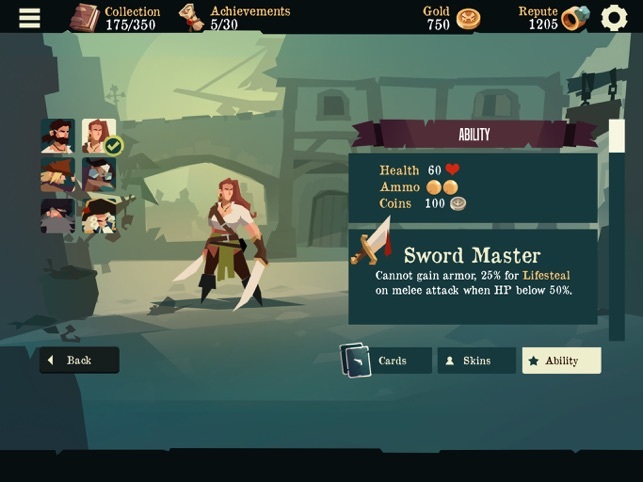 Collect more than 250 cards, 50 outlaws, and 80 relics while facing 20 challenging bosses along the way. 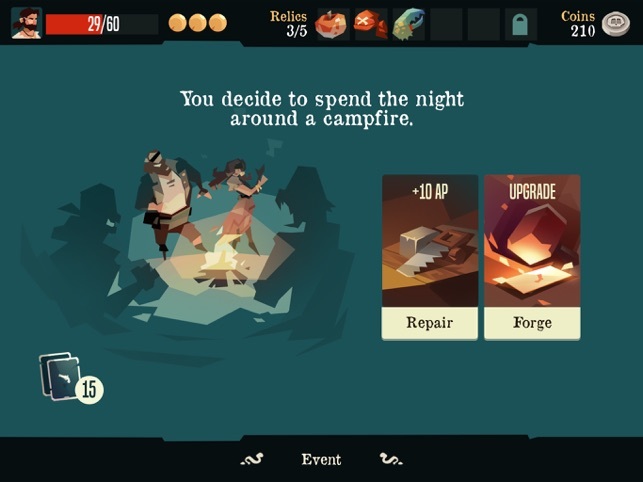 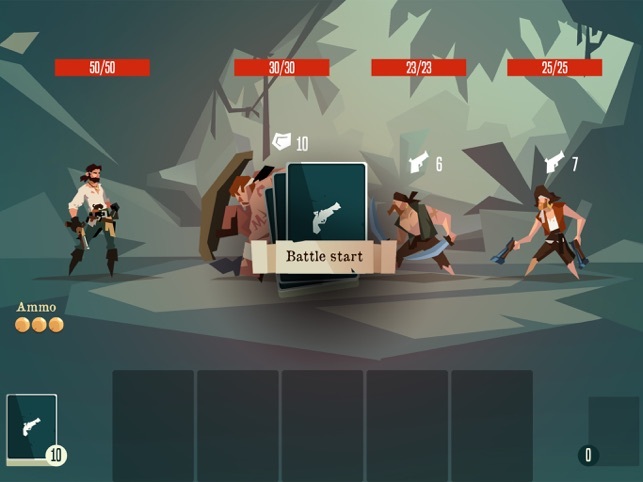 Explore 3 chapters at launch through an exciting turn-based, card combat system. 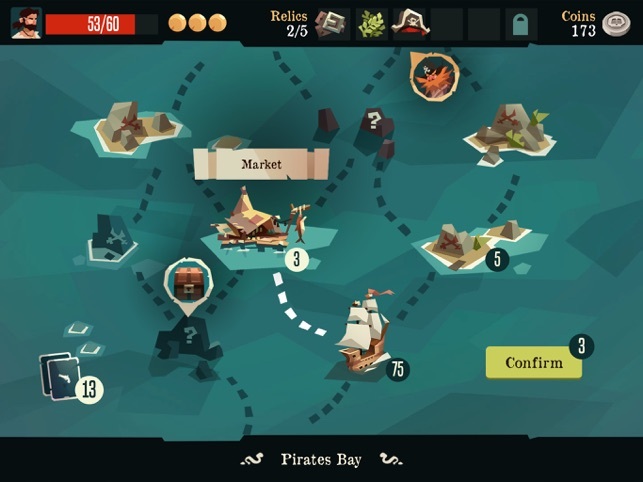 Manage health and ship AP (Action Points) to survive.